The U.S. Coast Guard cutter Thunder Bay breaks ice on the Kennebec River between Swan Island and Dresden at 12:09 p.m. Thursday, seen from Dresden shore. 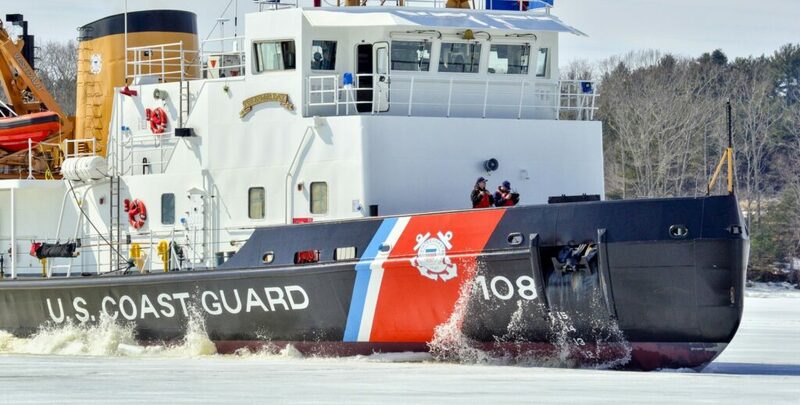 The U.S. Coast Guard cutter Thunder Bay breaks ice on the Kennebec River between Swan Island and Dresden at 12:34 p.m. Thursday, seen from Dresden shore. 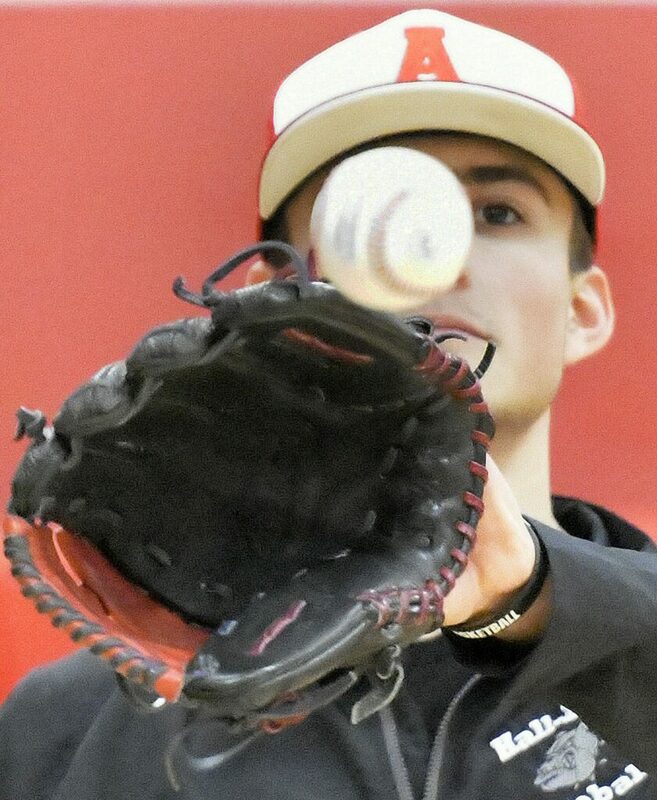 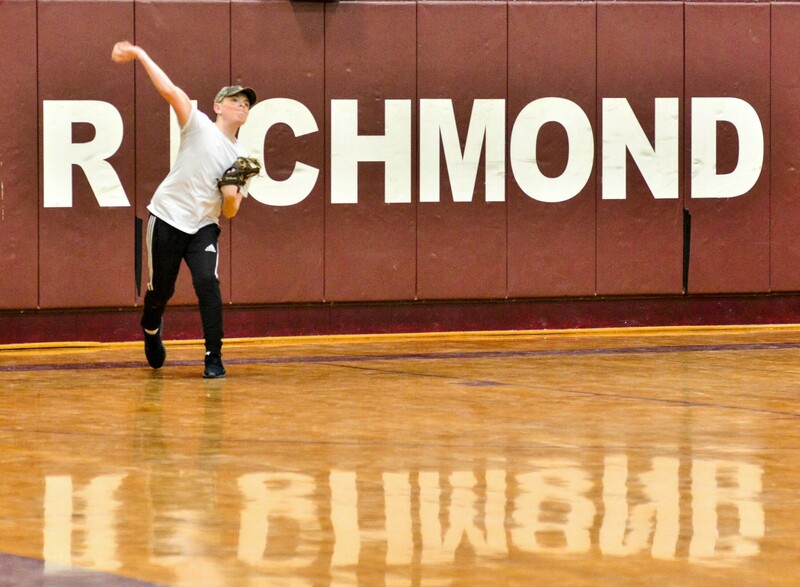 Cole Alexander throws long toss on Wednesday at Richmond High School. 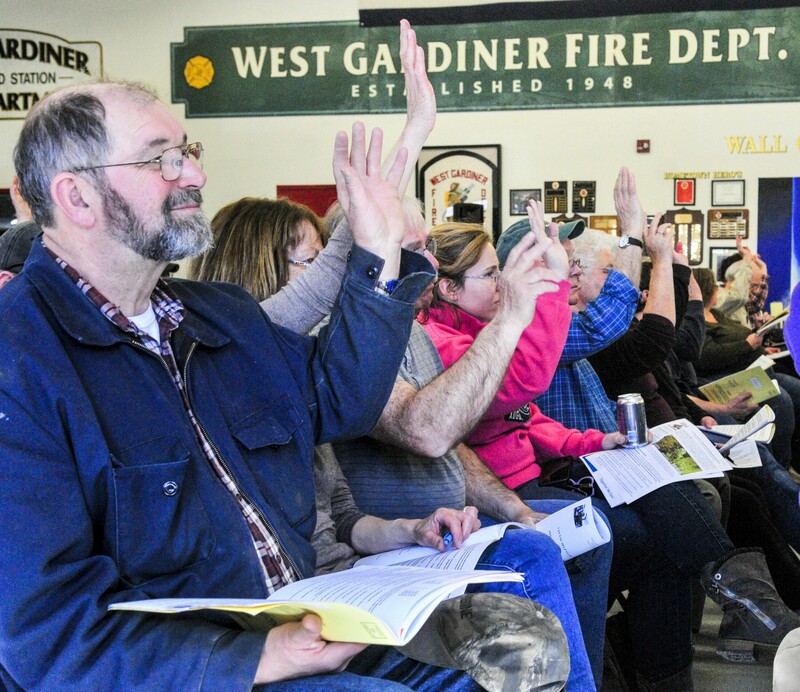 Voters raised their hands to vote during the annual West Gardiner Town Meeting on Saturday at the West Gardiner fire station. 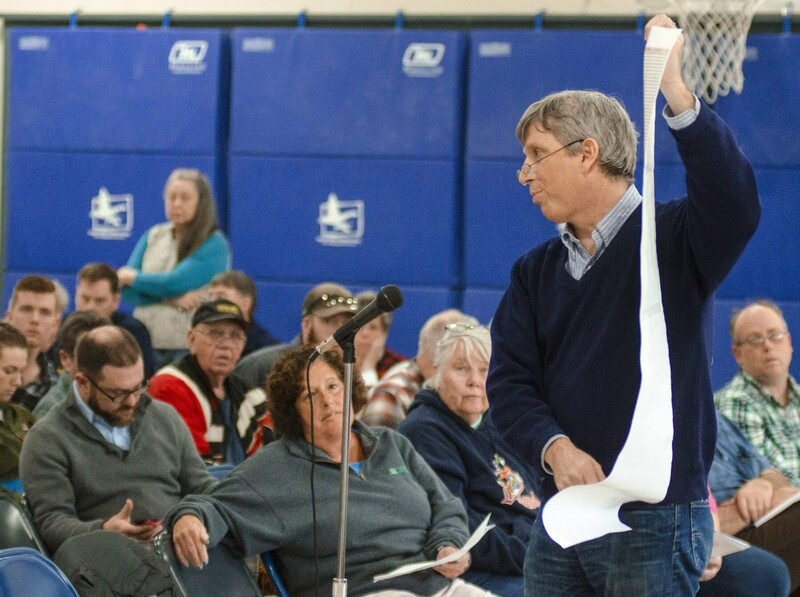 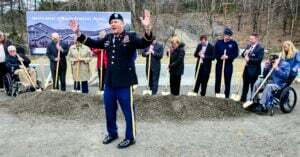 Tom Farkas speaks in favor of warrant item to support the Gardiner Public Library during the annual Pittston Town Meeting on Saturday at Pittston Randolph Consolidated School in Pittston. 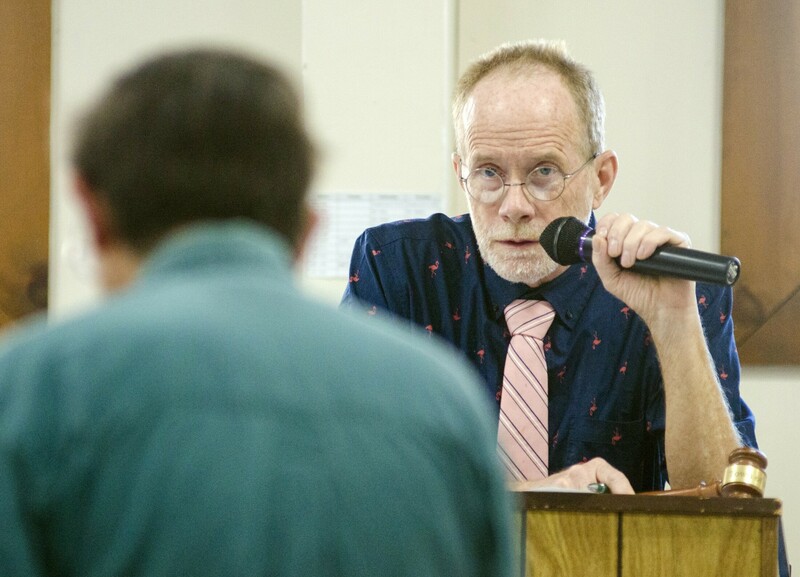 Tim Lawrence, left, asked to have an article dismissed and that was ruled out of order by moderator Chris Cooper for not be phrased in form of a positive motion during the Pittston Town Meeting on Saturday at Pittston Randolph Consolidated School in Pittston. 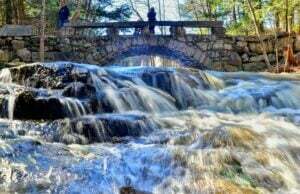 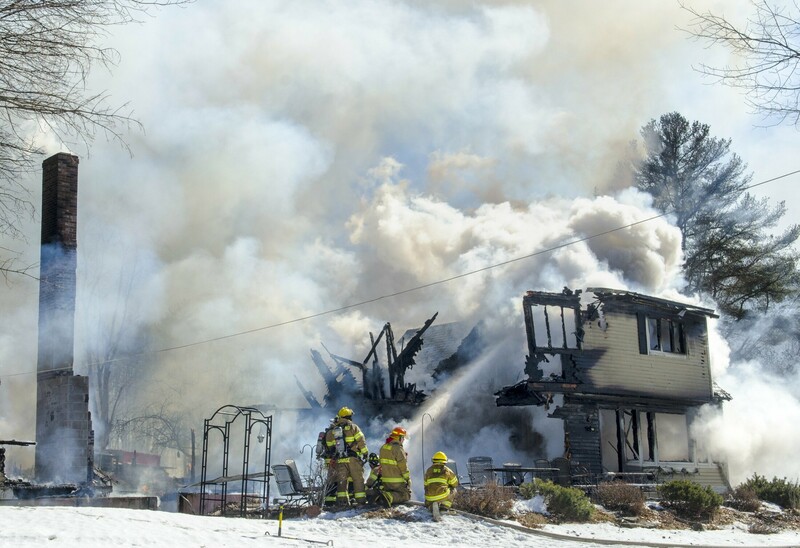 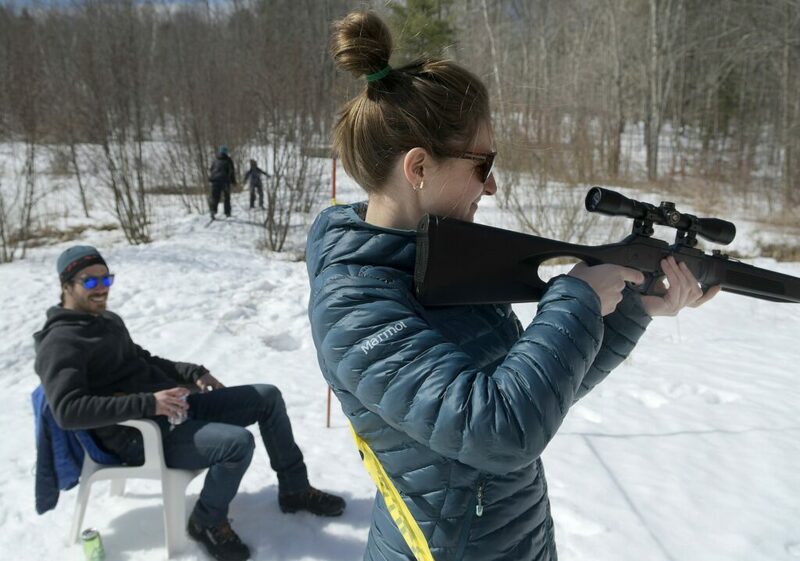 Maia Pinsky aims a pellet gun Sunday while her partner, Lincoln Smith, refreshes himself as skiers and snowshoers launch themselves on a trail at the Hoke residence in Monmouth. 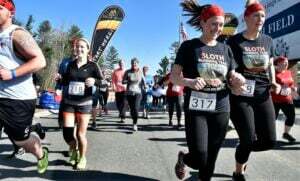  Friends of the Hoke assembled for the family's annual St. Patrick's Day biathlon to ski, shoe and shoot in the snow. 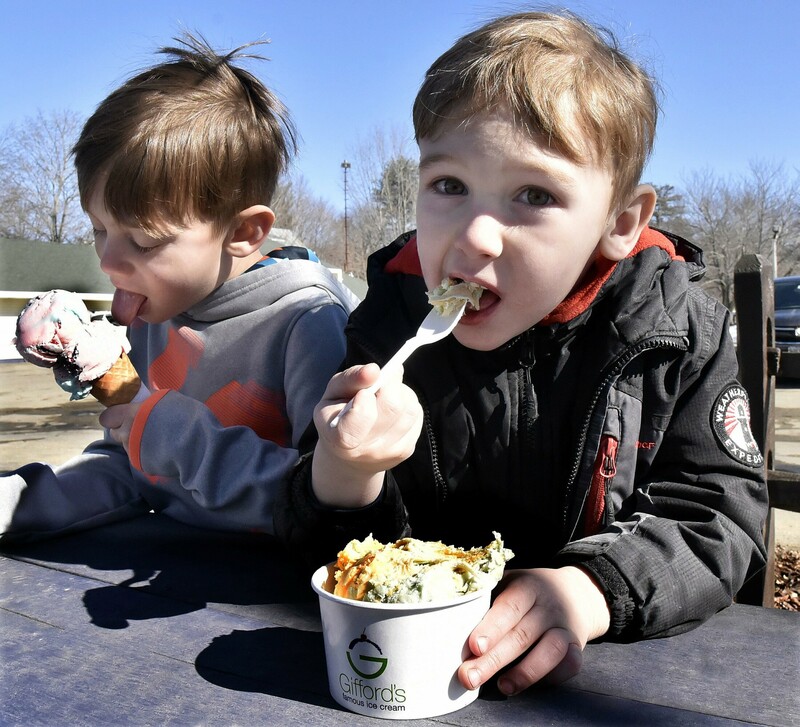 Landon Orff, left, and his brother Carter enjoy ice cream outdoors Tuesday at the recently reopened Gifford's Ice Cream in Waterville. 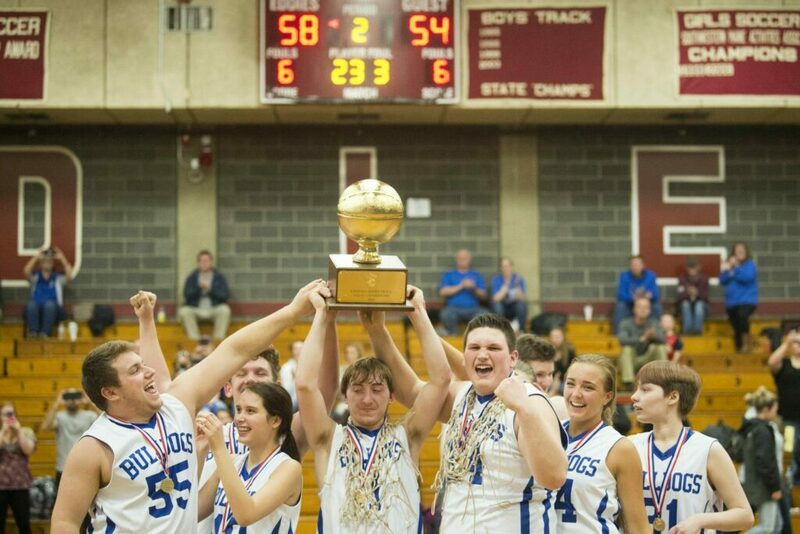 Madison Area Memorial High School's Scott Sawtelle (1) hoists the gold ball over his head with his teammates after defeating Westbrook High School in the Unified Championship game at Edward Little High School in Auburn on Tuesday. 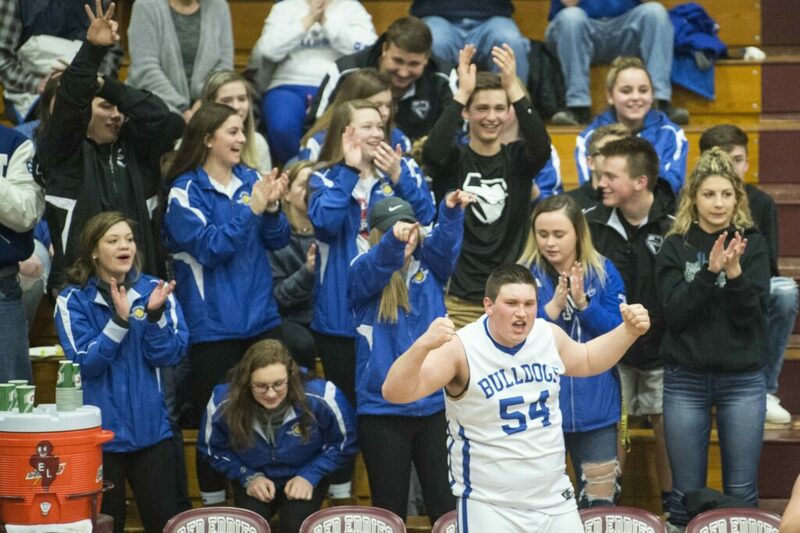 Madison's Cameron Ellis cheers on his teammates in the first half of the Unified state championship game Tuesday night at Edward Little High School in Auburn. 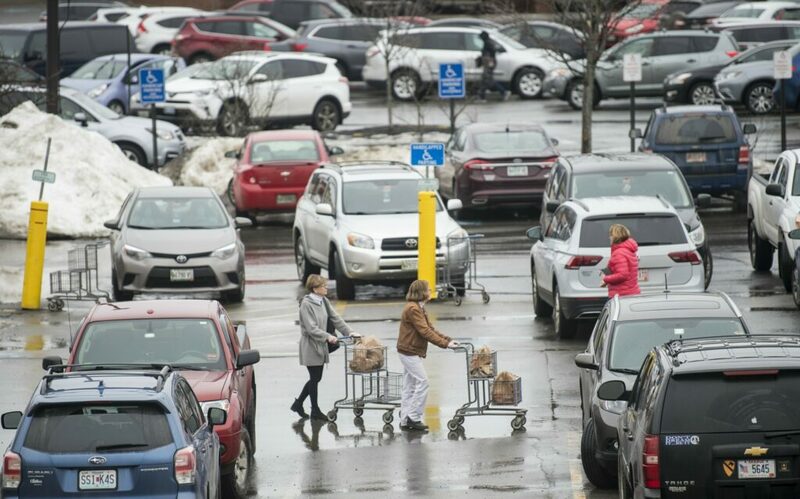 Shoppers walk through the Hannaford parking lot on Kennedy Memorial Drive with baskets of groceries in plastic bags in Waterville on Friday.